At six-foot-three, Patrick Mulvaney is a commanding force in his busy kitchen at B&L in the Midtown neighborhood of Sacramento. As staff prepare for a large dinner crowd, the chef strides through the restaurant’s narrow back hallways, where the scent of roasted chicken wafts over dishwasher steam and clanking cookware. His gravelly speech is peppered with curse words, and he’s quick to make adjustments to a tray of hors d’oeuvres or a specialty cocktail. But even when it’s busy, he says the servers, cooks and bartenders treat each other like family. And as “captain of the pirate ship,” as he calls himself, he says it’s his job to make sure they’re staying afloat in the chaos. 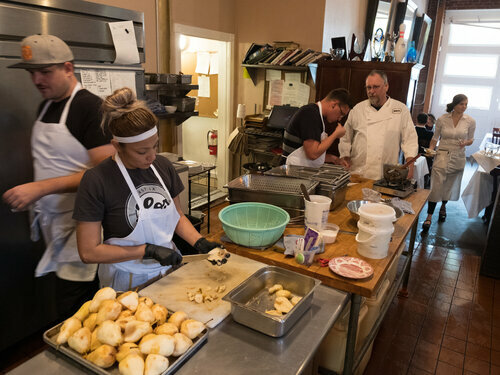 The chef has made a name for himself on the local and national culinary scenes, both for his widely praised farm-to-fork menus and for his leadership on causes such as homelessness and domestic violence. Now, he’s channeling some of his energy into suicide prevention. Mulvaney lost a longtime friend, 41-year-old local chef Noah Zonca, in May. Zonca’s son, Evani Zonca, said his father suffered from depression and addiction before his drowning death. Earlier this year, he hosted a series of mental health first aid trainings to help restaurant workers learn the warning signs for suicide. He’s hoping to create an online portal where they can take an assessment and find treatment. 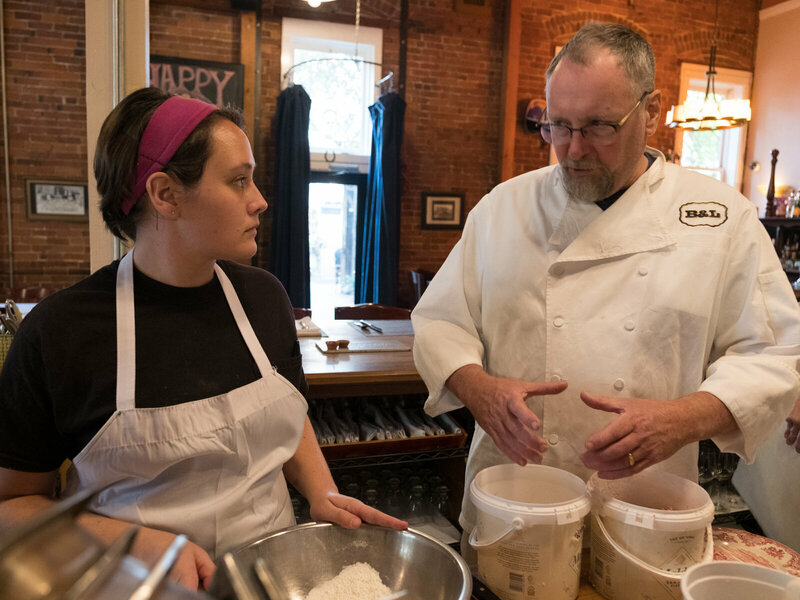 There are chefs working on suicide prevention all over the country, and if Mulvaney’s model gains traction, it could spread well beyond Sacramento. In Sacramento, many restaurant workers are still grieving Zonca, and other chefs and bartenders who’ve taken their own lives over the years. She said his death has made kitchen staff think more deeply about their co-workers’ mental well-being. Ben’s Friends is a food and beverage industry support group based in Georgia and North Carolina. It offers hope, fellowship and a path forward to professionals who struggle with substance abuse and addiction.